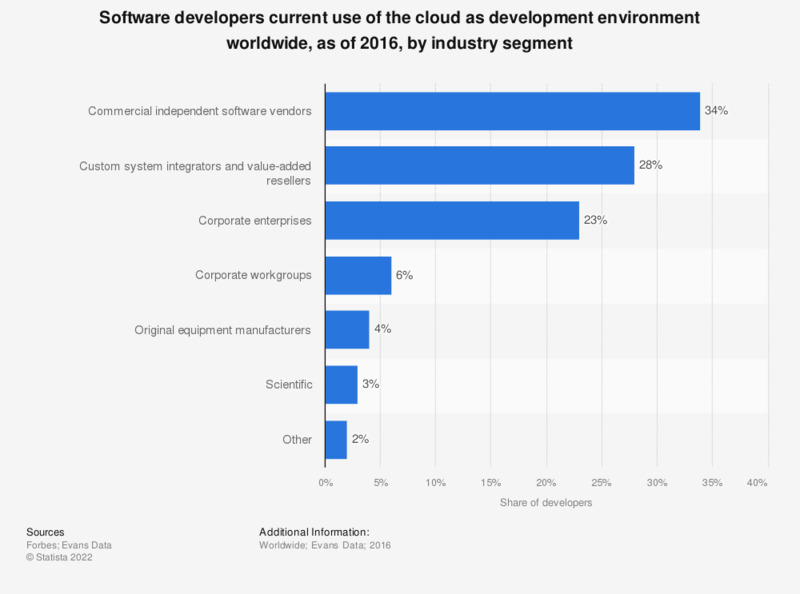 The statistic shows the share of developers worldwide currently using the cloud as a development environment, as of 2016, by industry segment. As of that time, 23 percent of developers working in a corporate enterprise environment were using the cloud as a development environment. The question was phrased by the source as follows: "What are your plans for using cloud as a development environment?"